Thanks for joining K-LOVE + CURE to show love to children and families in Afghanistan and throughout CURE’s network of hospitals by knitting. From their About: CURE’s mission is to bring 100% physical and spiritual healing to these children. CURE is a non-profit organization that operates hospitals and programs in 20 countries around the world where patients experience the life-changing message of God’s love for them, receiving surgical treatment regardless of gender, religion, ethnicity, or ability to pay. Now that’s a charity I can get behind – I’m a big believer in putting actions with words! 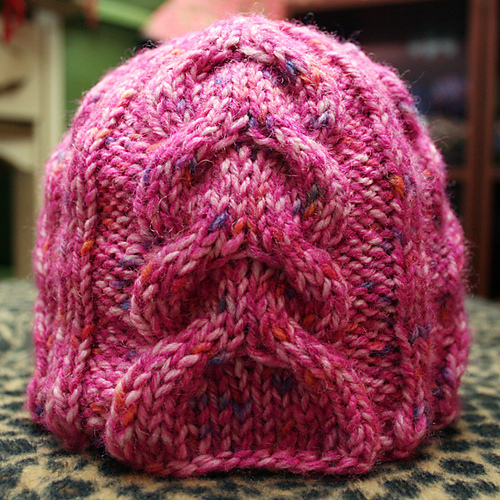 Since the deadline is coming up fast, I decided to knit one preemie hat, one preemie to newborn, and one newborn. You still have time to join me – so if you feel led, I urge you to cast on. It’s one way we can show Jesus through our actions!